This a story about productivity. I am a procrastinator at times or maybe just easily distracted. Either way, it’s easy to forget your action items when you store them in your head. Hello, my name is Nakevia and I am a list-maker. If I don’t write it down, I will forget until the next time that idea/thought cycles back to the forefront of my consciousness. Taking notes is just the way I retain information, I’ve been that way since I realized how forgetful I am. I made it through 70% of college without opening textbooks because my notes were basically transcriptions. Today, my worst nightmare is not writing down that fleeting stroke of genius or that little tweak to a project when it comes to me. To this very day, I try to keep a notebook with me so that I can keep all of my notes and lists together. I use it at one location and then I do not pack it when I move to the next. I still use paper when I’m writing a blog or brainstorming for a project because I am able to flow better with a pen, but since stepping into the entrepreneurial role, I have needed a more dependable system. I started using “Notes” on my iPhone. They synced to my desktop and everything was kosher for a while. It was a solution, but it didn’t contribute to my productivity. Workflowy was next. The app keeps info in outline form. The tagline is “Organize Your Brain,” which is what I was looking to do. This was a step up because I wasn’t having to type bullets and I could see all of my lists at once, or not, thanks to the nifty toggle feature. I was really excited about being able to toggle the lists and drill down into each bullet point to view its sublist separately. It also had CHECKBOXES! I was so stoked! However, Workflowy just created more neverending lists. Action items were still buried and I was spending time writing lists and trying to remember where stuff was instead of working. While searching for ways to use Workflowy more productively, I discovered an article on Productivity Mash Up about creating a Kanban Calendar with Workflowy. I thought “Surely, this is my solution.” It was definitely a way to add more functionality and structure to the app, but it also required more time and maintenance. I would have to file the projects by day of the month and move each day’s tasks up to the “Working On” list or move them to a later list MANUALLY…no. The Kanban idea did get me a step closer to figuring out what I was looking for. Trello was the next contender. At one point in my career, Trello had been used as proof of productivity in a very hostile work environment. So, needless to say, I did not stick with it for long. Trello is a great tool but it wasn’t the comprehensive solution that I was seeking. I did not like the process of moving cards from list to list and there was no built-in view for project progress (that I knew of). Evernote was a more visual solution for organizing my lists, but again short lived. I started to notice that I was looking for a solution that required minimal maintenance outside of data entry and reporting completion. Automation is a big productivity buzzword. I was constantly reading about this vague concept everywhere, but how would I achieve this? Keeping my clients informed, as well as documenting communication is a full-time job. Filing emails and setting up filters was not exactly creating a sustainable way of measuring project progress and documenting the client’s wishes. Additionally, the old workflow left my clients waiting for me to send an update. Clients waiting? That’s never a good thing. I can enter tasks from my desktop app, browser, and iPhone. So when the thought hits, I can drop it in my tasks and assign it later or enter it directly into the project that it pertains to. 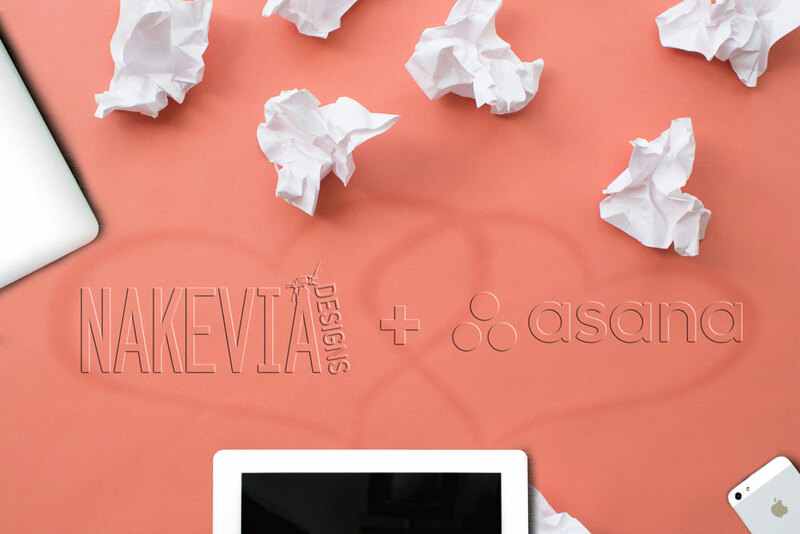 Asana tasks have a lot of fields to help flush out the task with due dates, subtasks, attachments, etc., but it is still acceptable to leave them blank until you have the time. I have a project for every segment of my business (Admin, Marketing, Website, Blog, etc.) and a project for each client. Each project has sections that even further organize tasks. I know what I’ve done what I need to do and where I am going. The app provides low-level analytics for progress and integration capability with other data analysis and reporting apps. I am planning to add my clients to their projects so that they have access to the task list and the ability to comment on the specific task or in the conversation for the project. Clients will receive digests of their project’s progress with no effort on my part, apart from completing tasks, of course. This frees me up to actually do the work. Each project has a section for “Client Action Items,” ensuring that the client is always aware of what is required of them to move the project forward. It’s white! Yay! The two/three column layout is the bee’s knees! I can see the entire list and the inside of the selected task AT THE SAME TIME! YAAAASSSS!!! The subtasks, comments, and other task info are there, visible and actionable. I can do data entry to set up a project task list with ease due to the heavenly keyboard shortcuts. “Enter” for next task and “:” then “Enter” at the end of a task to create a section. Did I mention the views? I know I did, but the personal task calendar view is something that I have been missing in working with Basecamp. I cannot figure out how to see the Basecamp tasks that are assigned to me in a calendar view, but Asana does it! To sum it up, I cannot believe this is free! All my clients will be guests so they do not count against my seats in the software. I am really digging this product right now. A second bonus is slated to be announced in a later post on what apps I am using to run and automate my business on a budget. Try Asana. If you don’t like it, maybe Trello, Workflowy, Evernote, Wanderlist, or one of the other productivity tools out there are right for you. Find something that helps your productivity and your business.